This is my 13th cranberry recipe in the blog, can you believe it? I only realized that when I counted yesterday. That really shows how much we love cranberries in this family. It’s such a great ingredient to use whether for a savory or sweet dish as it imparts a tangy and fresh taste that contrasts, enhances or compliments other flavors. Of course, it is a natural holiday favorite too because of its vibrant red color which makes anything you add it to look festive and gorgeous. I do love cranberries in cake and that is why I decided for our holiday cake to use cranberries. I still had some eggnog so I added that to the mix to provide some flavor and moisture, too. To give a lovely contrast in colors, I also added some chocolate espresso chips – also great for a little caffeine kick! After all this is a coffee cake too that would pair so well with your favorite cup of Joe. I am so happy that it turned out so well – very moist, pretty and really delicious! I used a 6-cup bundt pan here which I buttered and floured and, thankfully, the cake came out nicely. 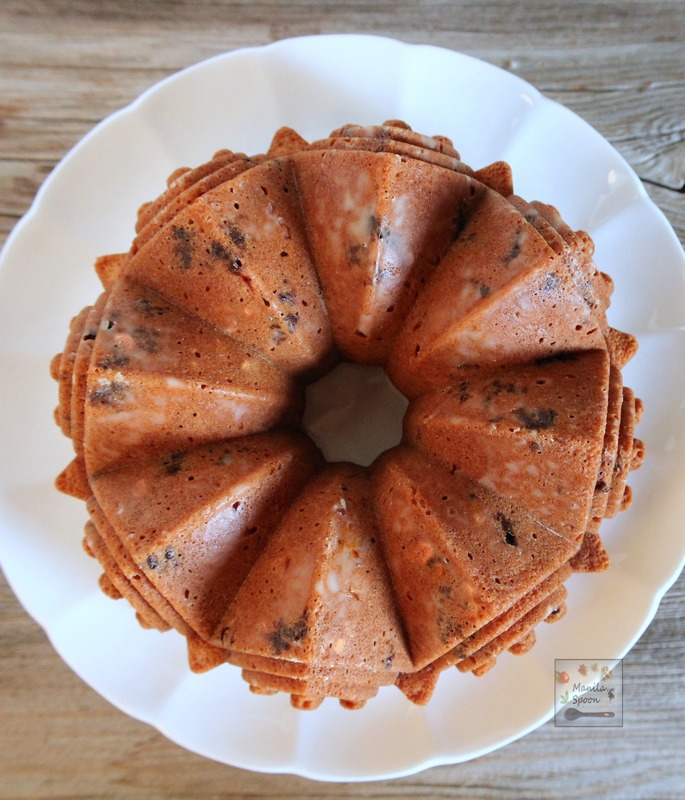 You can use a regular round bundt pan or something a bit more fancy. I found this pretty bundt in a goodwill store and it looked like new so I bought it right away. What makes the cake even more special is the delicious eggnog glaze/frost on top. This is optional but I think it not only adds extra sweetness but truly makes the cake yummier. Hope you try it this Christmas and enjoy it either as a snack or as part of your holiday dessert table! Click on the above icon for printing. Click on “images” and choose “remove” to delete photos for easy printing. Sweet-tangy, chocolaty with a hint of espresso and eggnog, this pretty, moist and delicious Cranberry Eggnog Espresso (Chocolate) Chip Cake is the perfect sweet treat for Christmas and New Year. Great with your favorite coffee, too. Preheat oven to 350F/180C. Butter and flour a 6-cup bundt pan. Make sure to grease all the nooks and corner of the bundt pan especially if using a fancy one. In another large bowl, beat the eggs. No need for a mixer to do this; a sturdy whisk should do. I made this without using one and it came out fine. Add the sugar, eggnog, oil and vanilla extract and mix until combined. Alternately add the flour and the eggnog mixing everything after each addition until everything is blended. I divide the flour mix into three parts when I do this and then pour eggnog in between. Fold in the chopped cranberries (previously mixed with flour) and whatever remaining flour and the espresso chocolate chips. Transfer to the bundt pan ensuring every corner is properly filled. Smooth out the surface of the batter. Tap the cake on the counter top to release any remaining air bubbles (to prevent cake from falling). Bake in the preheated oven for 45-55 minutes or until a tester inserted in the center comes out clean. Leave it to cool in the bundt for about 10 minutes. Release the cake onto a rack to cool completely. Glaze the cake if desired. For the glaze: In a medium bowl, combine all the ingredients for the glaze. Mix well until you reach a glaze consistency. Drizzle the glaze all over the cake. Enjoy! I have bundt pan envy. Wow, that mold is so cool. Thanks Jameson! 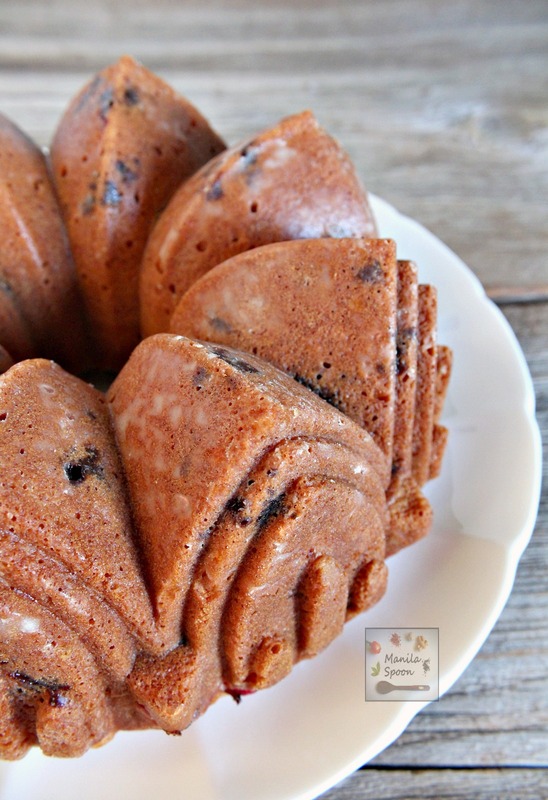 I do love this bundt pan! I know…always look at goodwill first before buying anything new! Thanks Allie! Oh my gosh, YES please!!! This looks and sounds so good!! This cake is so cheery and festive, it just looks like Christmas! I'm sure it tastes amazing too! Thanks Sara! It tastes really good if I may say so. This is such a stunning looking cake. I really love the icing dripping down it too. You have just made me realise that I really need some more cranberry recipes on my blog. So festive and perfect for the holidays! beautiful pictures as always. This looks awesome! So festive and so beautiful. I love the eggnog glaze on the top as well. And, the pan that you baked it in is lovely. I could have this for dessert for all 12 days of Christmas. So festive. 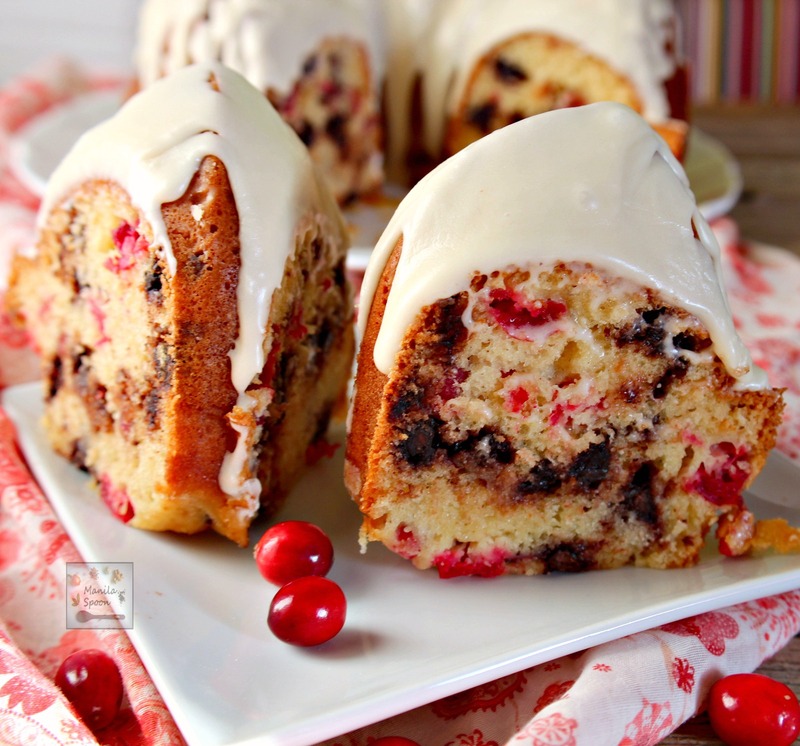 This is a beautiful cake Abby!I love that bundt pan and am really into cranberry recipes this year. YUM! There's a lot of gorgeous flavors and colors going on in that cake. I'd love a big slice! This cake looks and sounds like the perfect Christmas table choice! 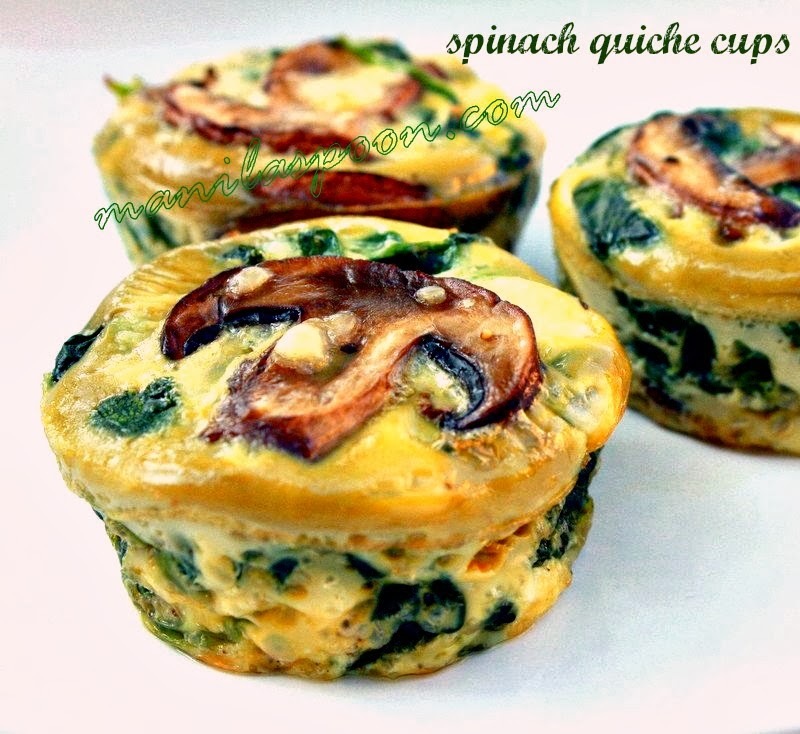 I have been pinning this recipe and I just love it!! Oh this looks amazing & love that you've used eggnog, delish! Ooh, i love eggnog so much, this look fantastic! 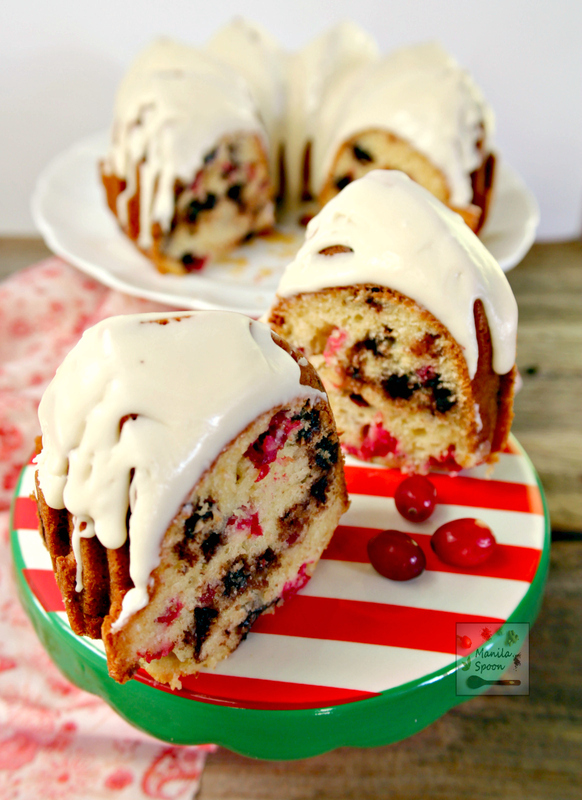 What a pretty, festive bundt cake. I love the bundt form you're using! These ingredients are calling me. Love the cranberries, eggnog and expresso chips! Great combo for the holidays! What a beautiful cake! This looks perfect for the holidays.